Citing people familiar with the negotiations, The Financial Times says Apple could announce the deal as early as next week. In its report posted online late Thursday, the newspaper warned the talks could still collapse if the two sides can't agree on some final details. 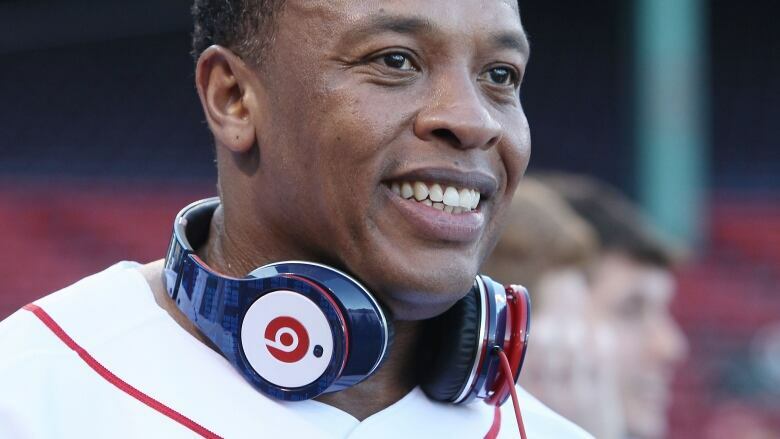 The potential acquisition would add Beats Electronics's popular line of headphones and music streaming service to an Apple line-up that already includes digital music players and the iTunes store, the world's top music retailer. If the deal is completed, it would be by far the largest purchase in Apple Inc.'s 38-year history. The Cupertino, Calif. company has traditionally seen little need to buy technology from other companies, reflecting Apple's confidence in its ability to turn its own ideas into revolutionary products such as the Mac computer, the iPod, the iPhone and the iPad. But Apple hasn't released a breakthrough product since its former CEO and chief visionary, Steve Jobs, died in October 2011. The innovative void has increased the pressure on Jobs' hand-picked successor, Tim Cook, to prove he is capable of sustaining the success and growth that turned Apple into the world's most valuable company and a beloved brand. Cook has shown a willingness to spend more of Apple's money than Job ever did. Among other things, Cook began paying Apple stockholders a quarterly dividend and has progressively committed more money to buying back the company's shares. Apple's pursuit of Beats Electronics is the latest indication that the company is having trouble generating growth on its own. Apple already sells Beats Electronics gear in its stores, giving the company insights into how much the trendy headphones and other audio equipment appeal to its customers. The negotiations also are taking place as the music market increasingly tilts toward streaming and away from the downloads that once drove the success of Apple's digital music store, iTunes. U.S. revenue from downloads — which iTunes dominates — dropped 1 per cent to $2.8 billion in 2013, while streaming music revenue from the likes of Pandora and Spotify soared 39 per cent to $1.4 billion, according to the Recording Industry Association of America. While downloads still command 40 per cent of the market, streaming revenue now accounts for 20 per cent of total revenue, up from just 3 per cent in 2007. In 2012, Beats bought streaming music service MOG, which it transformed and relaunched as Beats Music earlier this year.